Bonsai is a type of plant art that is thought to have originated in China or Japan, but is now popular throughout the world. Evergreens are often used to create a miniature tree that can be enjoyed indoors or out. 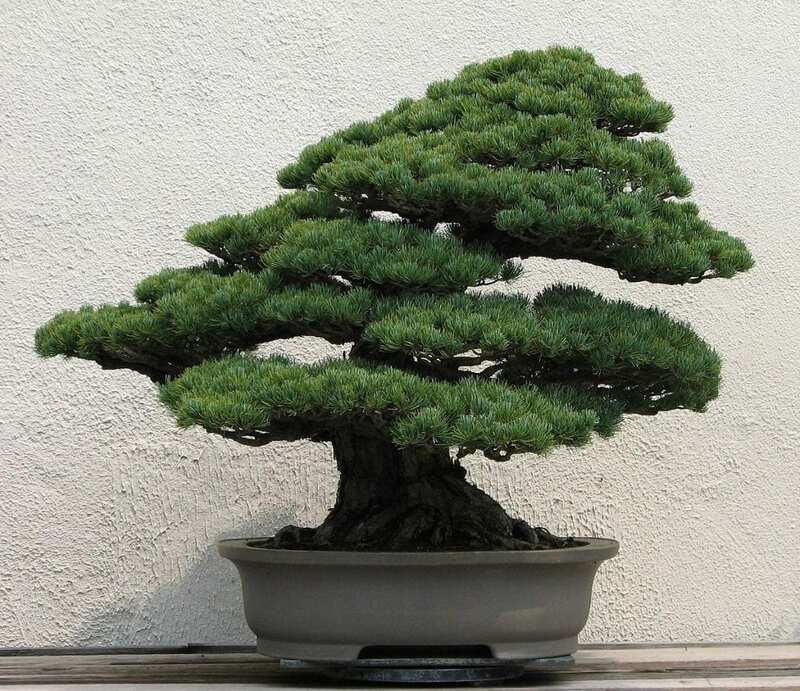 Some of the more common species of evergreen bonsai include spruce, cedar, and redwood to name a few. Growing these trees in containers presents some unique challenges, but there are many advantages to doing so as well. Evergreen bonsai trees need plenty of water and nutrients in order to survive. They generally require only moderate pruning and can easily be formed into a very symmetrical plant. Since evergreen trees do not lose their leaves, these plants remain green year-round; however, these bonsai trees also lose their needles. They have a pleasing aroma and are ideal for decorating as miniature Christmas trees. 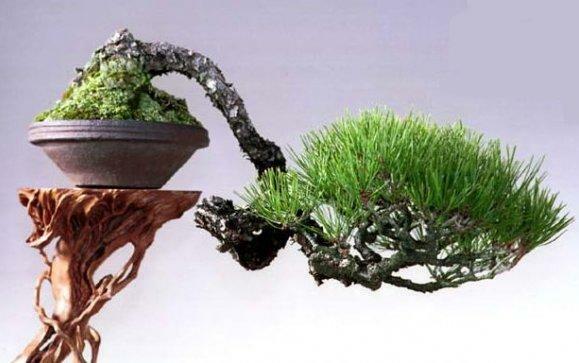 Bonsai is a very popular form of Japanese art that creates a miniature tree. There are a variety of bonsai trees and the most common are evergreen bonsai trees. Evergreen trees are trees that have leaves throughout the year hence it is green all year long. The most common evergreen plants include conifers like pine, hemlock, red cedar, blue spruce and white/jack and Scott’s pine. These evergreen bonsai trees are quite popular among bonsai growers. Growing these may present some challenges but may also have a lot of advantages. An evergreen bonsai begins with a seedling or small cutting of a larger evergreen tree. This specimen is then placed into a small container where it is cared for until it reaches the intended size. During this growth period, it may be manipulated in several ways to create an aesthetically pleasing shape. 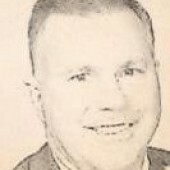 This can involve pruning or trimming leaves to remove excess limbs. It can also involve clamping some of the branches or wiring them in order to manipulate the plant to grow in the direction and shape a gardener desires. This tutorial will help you understand what it takes to grow evergreen bonsai trees. By following these you will be able to have strong and healthy evergreen bonsai trees in no time. 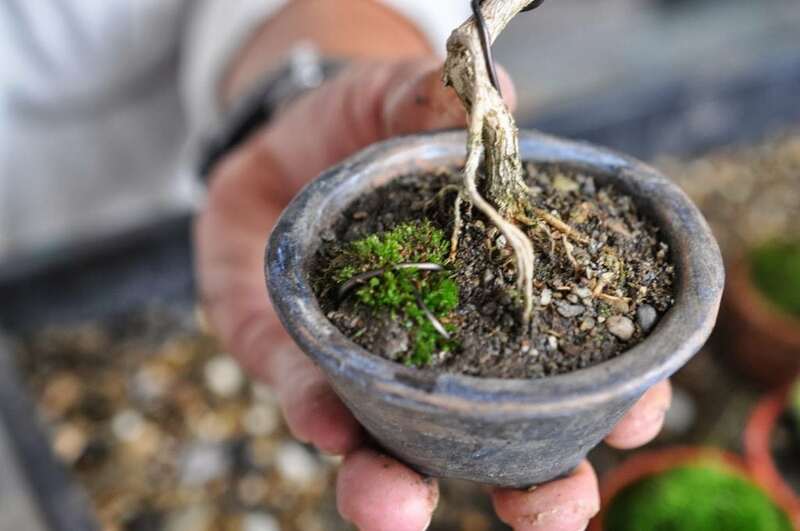 Most bonsai tree growers prefer to use an already potted bonsai tree. 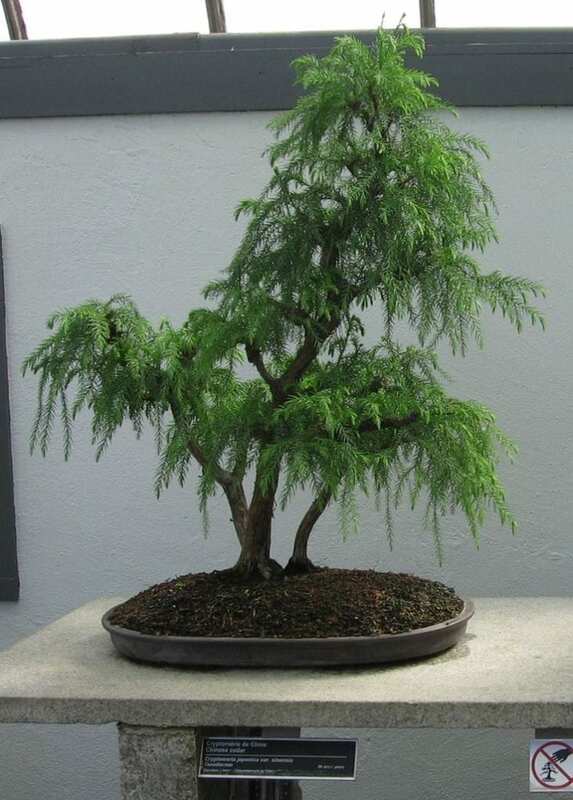 This is the easiest way to begin styling an evergreen bonsai because all there is to do is to define the tree according to the style you want to achieve. Aside from growing bonsai trees from actual trees, using seeds is also possible. Evergreen seeds are available from seeds sites locally and online. Growing evergreen bonsai trees from seeds let you define your tree accordingly at the earliest time possible. There are a variety of pots and planters you can use to grow and display your evergreen bonsai tree. But keep in mind that no matter what type of pot you use, this must have adequate drainage at the sides and under the pot. This will allow excess water and fertilizer to drain away from the roots. An evergreen bonsai tree requires regular fertilizing and a fertilizer with high nitrogen content is needed at least twice a month to help support leaf production all year round. Regular fertilizer is also needed once or twice a month. A pair of sharp scissors is needed to prune your evergreen bonsai trees. You also need a pair of scissors to cut pieces of the bark and to prune roots if necessary. You need a pair of pliers to cut wires at a length you need to use on your bonsai trees. You also need a good pair of sharp pliers to remove wires carefully as not to injure the bark or branches. There are two types of wires that may be used on bonsai trees: aluminum and copper wires. Aluminum wires are for bonsais with softer and younger trunks and branches. On the other hand, copper wires are harder and are recommended for harder and more mature branches. Your bonsai trees need good clean water daily. This should be watered but never over water your trees. And no matter what type of water you chose (tap water or rainwater); be sure to have this checked if you plan to use this on your bonsai. Add aggregates to potting soil to improve its drainage and aerating properties. There are a variety of aggregates to choose from; you can use Akadama, decomposed granite, diatomite, pumice, sand with coarse grains and turface on your plants. There are many types of soil for growing bonsai and for most bonsai growers; a sandy clay soil is a must. This type of soil will be able to hold more water and nutrients and will drain soil as well. You will find growing soil from garden shops or you can order online. Evergreen trees are mostly available in most countries. These trees are mostly green all year long hence the name evergreen. Evergreen trees do not lose their leaves but they lose their needles. These trees have a pleasing aroma making these perfect as Christmas trees and other yuletide decorations. Evergreen trees may not lose their leaves but may gradually lose leaves throughout the year as the tree age and fall. Most tropical rainforests plants are considered evergreens. Most warm temperate climate plants are also evergreen. In areas where there are cold climates, fewer plants are evergreen with a predominance of conifers as only a few evergreen broadleaf plants can tolerate severe cold climates. In temperate climates, evergreen trees can adapt to the climate to survive. Evergreen leaf and needle may litter and have a high carbon-nitrogen ratio than deciduous leaf litter. An abundance of deciduous leaf litter can lead to increased acidity in soil and lower soil nitrogen content. The most common image of an evergreen tree may look like a Christmas tree, however; these may vary greatly in their physical appearance and characteristics. Some evergreen trees like the California redwood can grow more than 350 feet in height. Despite the name evergreen, not all trees have completely green leaves. Some have red, brown, yellow and other colors. Some coniferous evergreens like larches and pines have needle-like foliage. On the other hand, some have leaves, palms and other types of foliage. Evergreen trees are composed of thousands of species including members of the families of cypress, fir, spruce, holly, eucalyptus, palm, hemlock, juniper, laurel, pine, rhododendron, magnolia, and redwood. The popular oak tree is also an evergreen tree. Evergreen bonsai trees are miniaturized versions of regular-sized evergreen trees, these produce cones. The cones produced by bonsai trees are also smaller compared to regular ones. And like large evergreens, bonsai cones also drop off at various times throughout the year and these contain seeds. Some species of evergreen that produce cones are juniper, silver fir, and spruce trees. Evergreen trees are found all over the world especially in the cold regions of the Northern Hemisphere. Coniferous forests cover about 15% of the land on Earth and are composed mainly of evergreen trees like junipers, cedars, pines, and hemlocks. You will also find evergreen trees in the rich tropical rainforests in South America, sub-Saharan Africa, and East Asia. Evergreen trees need full sun to thrive however some species may grow well even in the shade. Coniferous evergreen trees like dry, well-drained soils while evergreens found in rainforests love moist, soggy soils. Coniferous evergreen trees are more tolerant to cold and can live even in the coldest, habitable regions of the planet. On the other hand, rainforest evergreen trees thrive inconsistent warm temperatures. Evergreen bonsai trees need a lot of water to be able to survive. Tropical evergreens need moist soils to live but never overwater your bonsai. Overwatered soils can lead to root rot. Water only when the soil is high and dry but doesn’t over dry your soil. Evergreen bonsai can be placed in any type of container. The kind of container to be used should have adequate drainage. Ideally, a shallow container about one to three inches deep would be great. Evergreens need to be repotted every two to three years. Evergreen bonsai tree branches may need to be manipulated with wires and clamps to grow in the shape you desire. Evergreen bonsai trees can be grown indoors and outdoors and are not just used as yuletide decor. When used as a seasonal decor, the evergreen bonsai tree can be the focal point of the container. Growers may add decorative items in the soil inside the pot like moss or pine straw to create a miniature forest. Some growers add colorful rocks, marbles or any natural decor on the base of the tree. Evergreen bonsai trees are hardy and long-lasting plus are very easy to take care of. This type of bonsai tree is a good choice among beginners and advanced gardeners. Evergreen bonsai trees are easily distinguished from other bonsais because of its evergreen leaves. Popular evergreens are shaped like a Christmas tree and therefore easy to identify from other bonsai plants. The presence of cones is also a giveaway that the tree is an evergreen bonsai tree. Usually purchasing an evergreen bonsai tree is the best way to start growing a bonsai counterpart. There is absolutely nothing wrong with starting this way just make sure that you purchase from reliable retailers and garden shops. Usually, you can purchase low-cost evergreen trees from large garden stores along with pots and growing accessories. And if quality evergreen trees are what you are looking for then top-rated specialized bonsai sites and nurseries will be able to help you out. But you don’t really need to purchase evergreen trees if these are available from your backyard or from your neighborhood. You will be able to save money when you use local trees. And with this practice, you will also be able to grow your tree well because it has already acclimated according to your climate and growing environment. You will also be able to grow evergreen bonsai trees from seeds. Seeds may be taken from actual evergreen trees found in your backyard or from your neighborhood. You may also purchase seeds online or offline. Take note that there are no special evergreen bonsai tree seeds. Like most seeds, evergreen tree seeds germinate first before these are planted in a bonsai pot. Germination is when the taproot emerges from the seed and then afterward, the first small leaves and stems will appear from the open seed. It takes weeks for evergreen seeds to germinate and at this time, the seeds need sun and moisture. But before you germinate seeds, you must first identify which seeds are good to germinate which ones are the opposite. You need a glass or a container of water to test for seeds’ readiness to germinate. Fill a glass or a transparent container with water. Place the seeds in the water and let it settle. Take the seeds that have sunk and reserve these for germination. Seeds that have sunk are seeds that are viable and contain viable insides that are ready to germinate. Seeds that float are empty or have no viable insides. These will not germinate no matter what. After you have found which seeds will germinate and which ones should be discarded, it’s time to germinate your seeds. A large pot is needed to germinate seeds. Use a large but shallow pot to hold up to 4 seeds. Fill this large pot with peat seed sowing mix. This type of soil may be purchased from garden shops. Place the Evergreen bonsai tree seeds on the surface of the mix. Never cover the container because germinating seeds need sunlight. Water the soil to keep it moist. Water should run off the sides of the container to show that the soil has been completely soaked. Seeds need this to be able to germinate. Keep the soil moist. Check your germinating seeds frequently and remember to keep the soil moist. These seeds will germinate for about a few weeks. You may transplant Evergreen bonsai tree seedlings to individual pots once these seedlings have gained strength. Remember that this tree will grow fast so it won’t be long when these seedlings will become young trees. Transplant these seedlings as soon as these are ready. A small and shallow bonsai pot is a good starter pot. The ideal planter pot should have two holes along sides and at the bottom of the pot. Initially place a layer of coarse substrate or aggregate. This will be the bottom layer that will remove excess water and fertilizer from the plant roots. This will also improve aeration of the soil to let oxygen to be absorbed in the roots. After the layer of aggregates, add bonsai potting soil. This is available in any garden center or bonsai accessories store whether online or offline. Choose a potting soil that will hold more water because Evergreen bonsai tree trees want moist soils. Place your Evergreen bonsai tree seedling on the soil. Place another layer of bonsai soil and compact the soil with your fingers by pressing the soil lightly. Water your young plants regularly to keep the soil moist. Never let the soil dry out. Cuttings are parts of a tree that when planted and cared for can grow into another tree. You can take cuttings from evergreen bonsai tree and grow another Evergreen bonsai tree. This is very convenient because you will do without the wait of germinating and growing seedlings. But you just need to wait for the cuttings to develop thick roots before it could be planted. Here is how to get cuttings from Evergreen bonsai tree trees and cultivate them. Select a healthy Evergreen bonsai tree as a donor. This tree should be of good health. It must be growing new leaves and stems on a regular basis. This tree t must be free from molds and any pest infestation and no leaf discoloration. Take cuttings from the Evergreen bonsai tree. This should be a healthy stem with no issues. Use a cutter or a sharp knife to harvest the cutting. You must cut the cutting with a diagonal cut. Place the cutting immediately in water to avoid air pockets from entering the newly cut stems. Let the cuttings develop roots. When the roots have thickened, these will be ready to be plated in the soil. Water the cuttings daily and always keep the soil moist. This should be watered regularly especially when the days are warm. The best way to care for an evergreen bonsai tree is to keep it well fed, watered and protected from tree diseases and pests that can affect it. It has to be fed with a high nitrogen fertilizer at least twice a month and regular fertilizer is needed at least twice a month. Watering evergreen bonsai trees should be done regularly because this tree loves most soils. You must protect it from pests by constantly checking for leaf and root health. And as you redefine your evergreen trees, you must take care not to injure your young tree. Wiring is the best way to design an evergreen tree according to the bonsai design you chose. Most specimens of evergreen bonsai tree are easy to care for. These plants should be watered occasionally, but do not need to be over-watered. In most cases, watering them two or three times a week is sufficient. Since many varieties can tolerate somewhat dry conditions, it is usually best to under-water them rather than provide too much hydration. If the needles begin to turn brown, growers may want to mist them lightly with water as well. 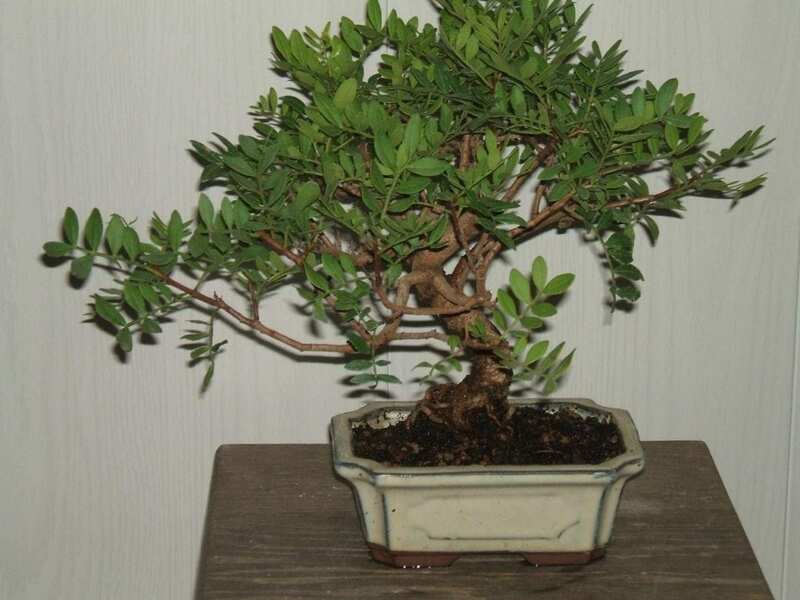 Unlike other types of bonsai trees, evergreen types generally require much less pruning. This can normally be done in the fall since most of the tree’s growth occurs during the spring and summer months. When pruning this plant, it is important to use shears that have been cleaned and sterilized. Doing so prevents the spread of disease and fungus that could be harmful to an evergreen bonsai. This tree requires regular fertilizing. The amount of fertilizer needed is generally higher during the spring and early summer months. During this time, adding a high nitrogen fertilizer twice a month is typically recommended. From mid to late summer, a regular fertilizer can be added once or twice a month. During fall and winter, the plant may need only occasional fertilizing. Some varieties are able to thrive in filtered sunlight; however direct sunlight is recommended for most specimens of evergreen bonsai. As such, these plants should be placed in a sunny window that is free from drafts if grown indoors. Outdoor trees should be placed in an area that is protected from high winds to ensure the plant does not get knocked over during a storm. Evergreen bonsai trees will be able to grow in a variety of container but if you want to stay true to Japanese tradition then you must plant these in jade pots. But if you wish to use other types of the container then you must use containers with adequate drainage. A shallow container about one to three inches deep is a good size of the pot. You must also choose a pot that is wide enough to accommodate the large and complex root systems of the tree. And when it comes to re-potting, evergreen bonsai trees need to be repotted every two to three years. This grows moderately so you don’t really have to change pots every year. Keep in mind that overwatered soils can lead to root rot and the development of mold in the tree roots. And to prevent overwatering, water only when the soil is high and dry. Water your bonsai trees but don’t over dry your soil. Water two to three times a week. Pruning is one of the basic ways to shape your evergreen bonsai tree. Pruning also encourages new leaf and stem growth which is important when you want to grow healthy and well-styled trees. Evergreen bonsai trees require less pruning. Pruning should be done in the fall because the tree’s growth occurs during the spring and summer months. When pruning use shears that are clean and sterilized to prevent passing diseases and mold which can affect the health of your tree. An evergreen bonsai tree may be designed according to a variety of bonsai tree styles. However, styling and shaping have to be done as early as possible while the trunk of the tree is still soft and pliable. Wiring mature evergreen bonsai trees can injure the tree because of its very delicate trunk. Wiring is also difficult for mature trees because wood is stiff and this can lead to fractures in the tree trunk. Wiring bonsai will let you achieve a number of styles. The Evergreen bonsai tree may be wired and styled to achieve a cascading style, a flowing style or a broom style and more. Keep in mind that wires must be applied carefully on Evergreen bonsai tree trunks. This should be removed on the same season it was attached as well. Wiring is a way to shape and style an evergreen bonsai tree. You will be able to style bonsai trees safely, effectively and quickly with wires. Wiring will reposition bonsai branches to the shape or style you want to achieve. There are a number of bonsai styles that you can use to shape this tree. One of the most popular bonsai tree styles that may look great on an evergreen bonsai tree is the Shakan bonsai style. This is the slanted bonsai tree style which mimics a slanted tree in nature. The trunk of the bonsai protrudes from the soil in a slanted way while the rest of the tree straightens out in an outward manner. The trunk is in a 60-80 degree angle that gives the trunk a slanted style. This style is achieved by strong wiring to control the growth of the main trunk. Wiring will control the height of the branch as well. Another way to create a slanted style is using strong lighting from one direction will bend the tree to create that slanted and windswept design. The Dramatic Fukinagashi is like a windswept head of hair during a storm. An evergreen bonsai tree will look great in this exotic style. But despite how hard this design looks it can be more common especially for this type of tree. In the Fukinagashi style, the branches and the trunk will grow to one side to recreate a realistic effect of strong wind blowing from one direction. This design is achieved by wiring the trunk carefully and pruning the leaves well to create that windswept plume. The Shari Bonsai Style is achieved by shaving the bark of the tree to keep new growth from appearing and reappearing. This style is also known as the stair effect because branches may be long or short. The overall design is achieved through wiring and pruning. The leaves at the top of the tree make the design aesthetically balanced. The Shari bonsai style is actually from the natural development of trees and plants. You may find a bald or barkless area on the trunk in a Shari bonsai style and this is because of the effects of harsh weather conditions. The Seki-joju or Rocky Terrain style is showing off the lovely aerial roots of bonsai trees. It is all about growing bonsai roots around or through an obstacle. This could be anything in nature like a jagged or smooth rock. This actually occurs in nature when roots of trees grow underneath and along the sides of nearby rocks. Roots are very adaptable and will also crawl around the rock surface and these happen as the trunk of the bonsai forms. The rest of the tree will grow in a straight manner despite various obstacles along its path. The Rocky Terrain bonsai style is mostly done in trees that have good roots. The Literati style is a bonsai style matches well with evergreen bonsai trees. This design has a skinny trunk and curved leaves. Bonsai enthusiasts agree that this style is all about the struggle in nature for even the smallest form of life to survive. You will find a few bald spots along the trunk that will seem to look like dead branches. The Literati bonsai style is found in nature in trees that grow in densely populated areas like forests and woodland areas. The Han-kengai bonsai style has a cascading effect wherein a section of the trunk grows straight as a branch grows outward and slightly downward. A small part of the trunk may be seen before the section where the thick branches grow. These branches grow and develop in different directions and grow low-lying leaves. A bonsai with a Han-kengai design should have a deeper pot to maintain the style. You must start wiring an evergreen bonsai tree as soon as it is strong. You may start wiring any time of the year. Apply wire carefully on the branches; apply this during the growing season or as the branches become thicker. When you wire when the tree is mature, it can cut through the bark leading to ugly marks and scars. And of course, don’t remove the wire when it is due to be removed. Forgetting the time to remove the wires can badly injure your tree. When the branches are wired, check your evergreen bonsai tree constantly. Remove the wires by cutting it piece by piece, turn by turn so you won’t risk injuring your plants. Bonsai trees use two kinds of wires. You can use anodized aluminum and annealed copper. These can train bonsai plants but there are differences between the wires. Aluminum is for deciduous trees which have harder and stronger trunks. Copper wires are for species with harder trunks like conifers and pines. If you are new to wiring use anodized aluminum wires because these are easier to bend and handle. This type of wire is also readily available anywhere. Wires are available in a variety of thicknesses and the most commonly used gauge is the 1 mm to 4 mm wires. Wires may still cause injury to bonsai branches, especially for a young bonsai tree. Raffia is used to prevent injury in branches and trunks. Raffia is palm fiber available from garden stores. This is soaked in water and wrapped along the tips of the branch or bark. Raffia will protect these from damage as a result of bending. Choose the type of wire for the type of tree that you are wiring. Measure the length of wire that you need to use. Wrap the wire neatly in line along the extent of the branch. After you have completely wired the entire branch, cut the excess wire using pliers. Bend the branches into position. Do this to avoid damaging the plant or tree. To bring down branches that are too high, you may use a guy wire. Wrap moist raffia around the branch and place a hook at the end. Place a wire on the hook and anchor it on a strong root. This will keep the high branch lower. Check wired Evergreen bonsai trees regularly rapidly. After wiring the branch, take note of the growth of your Evergreen bonsai tree. Place it in a shaded area of your garden and water it daily. Give balanced fertilizer that this tree needs. After wiring your Evergreen bonsai tree take note of these tips. Place the newly wired bonsai in a shaded area of your garden so it can regain its strength and bounce back to good health. Never leave it in direct sun because this can dry the soil so much. Give your newly-wired bonsai nutrients from balanced fertilizer so it can recover from wiring. Don’t forget to remove the wires on schedule to avoid damage to the bark and branches. Do not remove the wire by loosening it but instead cut the wires at every turn. Never reuse the wire for wiring other branches as well. Remove wires at every turn by cutting it with pliers. Monitor tree health and let your bonsai tree rest before wiring and pruning it again. Evergreen bonsai trees are prone to mold and root rot so don’t leave it overwatered. You must only water when the soil is dry and high and never when the soil is still moist. You must use the ideal pot for bonsai with good drainage to avoid root rot and mold growth. You must also guard your evergreen bonsai trees against pests. The most common pests that can affect this kind of bonsai are caterpillars, spider mites and more. Don’t take pests for granted since one small bug means that there are more nearby. Eradicate pests using natural or organic pesticides. Use water in a spray bottle to spray pests away. Use the help of garden creatures like ladybugs to kill pests. Always inspect your trees and never leave any stone uncovered. Be diligent and you will be able to protect your bonsai from any pest. An evergreen bonsai can be placed in nearly any type of container as long as it provides for adequate drainage. A shallow container between one to three inches deep is usually ideal for one of these plants. Even so, it is extremely important to make sure the pot is wide enough to accommodate the root system of the tree. Evergreen bonsai trees may need to be repotted every two to three years to accommodate new growth. While an evergreen bonsai can be the focal point of the container, it is easy to add decorative matter to make an interesting display. Some gardeners like to cover the bottom of the container with moss or pine straw to create the illusion of a miniature forest. Others prefer adding colorful rocks or marbles around the base of the tree. Evergreen bonsai trees can be grouped together to fill an empty spot in a room, or they can be placed individually to draw attention to a shelf or table. They make nice accents to indoor fountains as well. Evergreen bonsai trees can be a good way to enjoy the beauty of nature no matter where they are placed. These specimens are hardy and long-lasting ones that are typically easy to care for as well. This makes them a good choice for both beginning and advanced gardeners who would like to add to their plant collections. 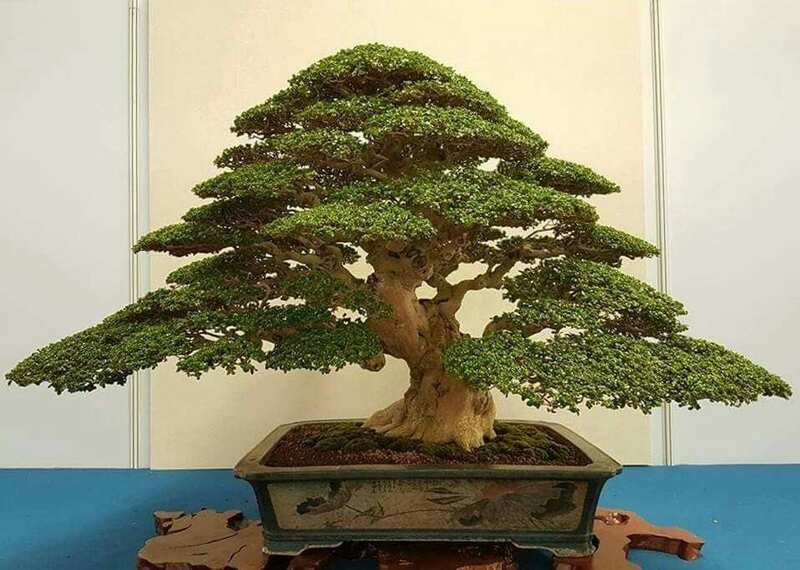 Evergreen bonsai trees have a large number of species and each one has specific growth requirements and special instructions on how to refine each one according to the bonsai tree design you chose. It takes special skills and patience to take care of an evergreen tree and cultivating a healthy and well-trained bonsai is something that will give you a lot of happiness and contentment in the long run. By following these techniques, you will be able to grow your own evergreen bonsai tree in no time.